David M. Lawrence has litigated in both state and federal courts, with an emphasis on business and commercial landlord/tenant litigation. He has litigated breach of contract actions, partnership and corporate disputes, business torts, fraud, and real estate disputes. 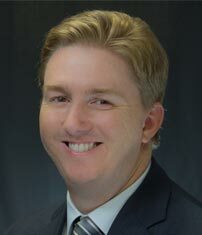 Mr. Lawrence also has extensive experience in all aspects of commercial landlord/tenant disputes, representing both commercial landlords and tenants in unlawful detainer actions, breach of lease actions, and enforcing judgments. University of California, Irvine, 1996 B.A.